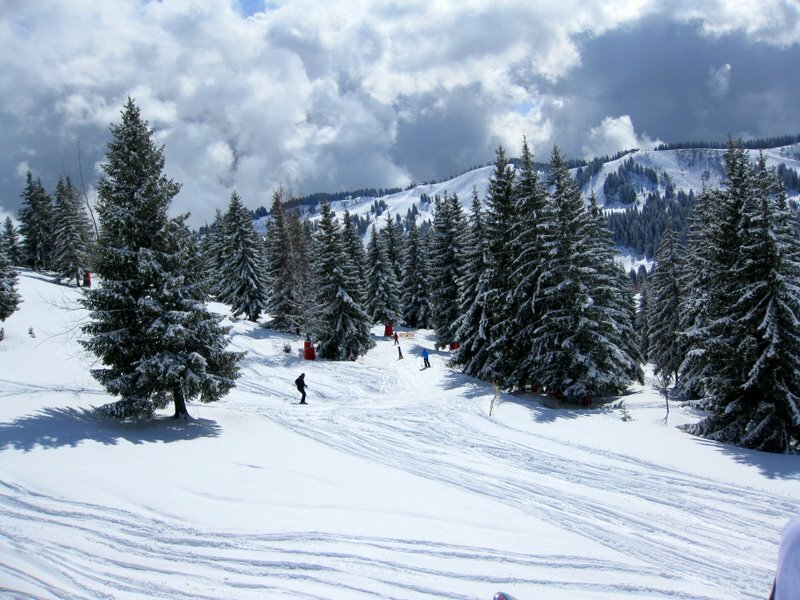 There are several dedicated beginner areas in Les Gets with ‘magic carpets’ and a new bubble lift for those worried about getting on and off regular chair lifts! There are several mountain-top cafes and places to eat that offer reasonable value for money. 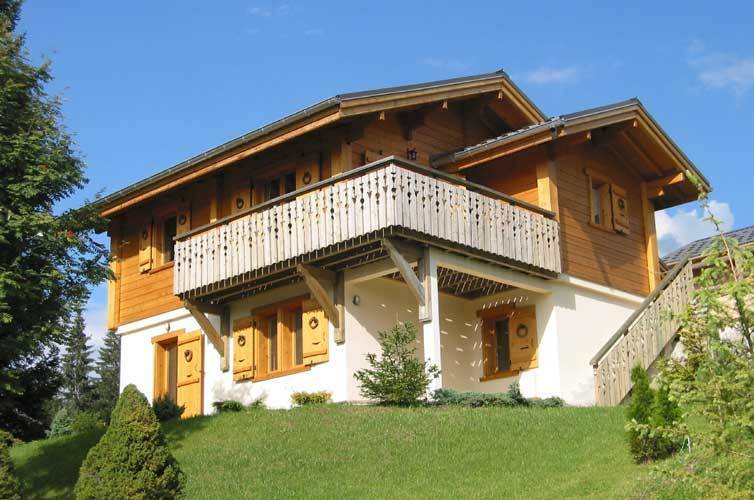 "Chalet Chardon is ski in, ski out; sleeping 6 in three bedrooms"
Whether you are into skiing, walking or mountain biking the chalet is in a brilliant location. In the winter season assuming normal snowfall you can ski from the chalet down to the lifts. On returning to the chalet you just need to detour past the lake back down to the chalet, or take the ‘Bleuet’ route which comes out above the lake. 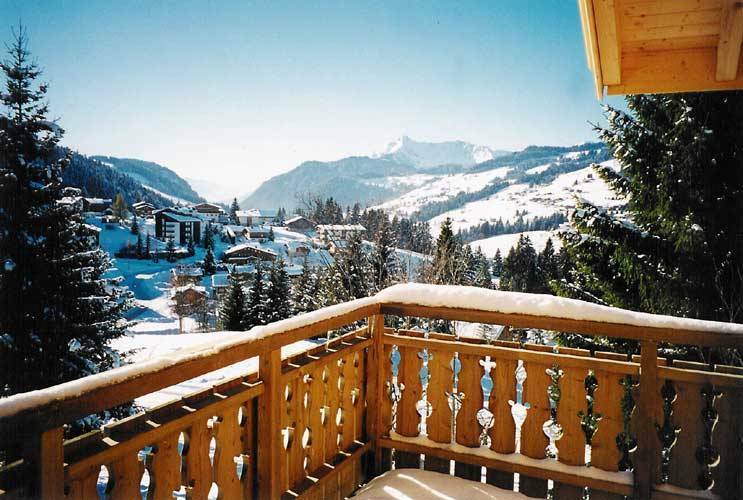 The chalet is on the popular Chavannes side of the valley. 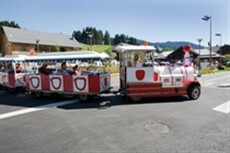 Whilst the shops are only 10 – 15 min walk down the hill, you may want to get the free shuttle bus (ok it’s a train – the ‘Petit Train’) back up the hill. It stops conveniently just a minute walk from the chalet. 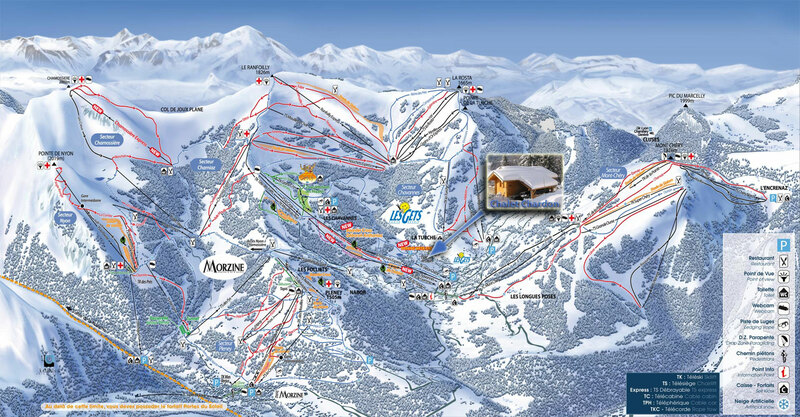 Looking for a piste map? Find the Les Gets piste map here. Looking for directions from Geneva? Go here for directions from Geneva airport. 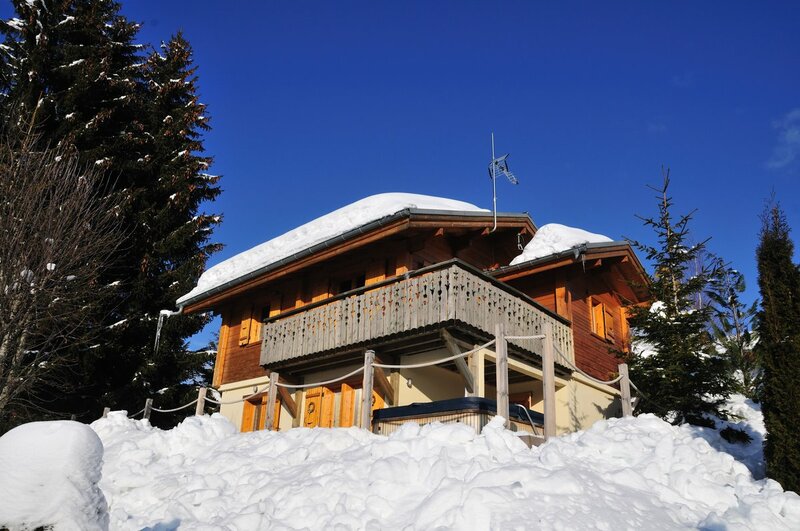 Depending on the season part weeks can be booked – please see the Chalets 1066 website for details and current availability. 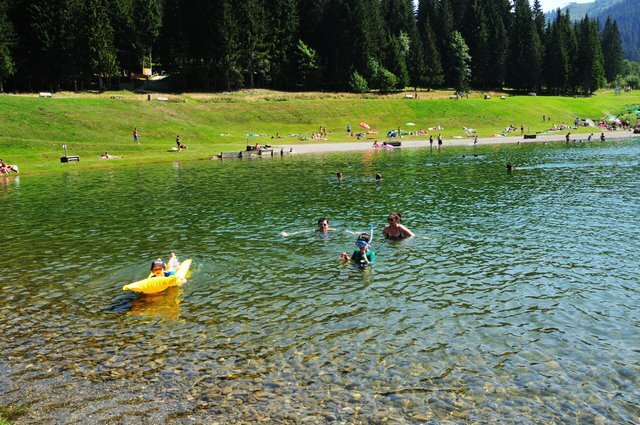 Clear alpine waters for summer swimming! Picture looking up at Chalet Chardon in the summer.